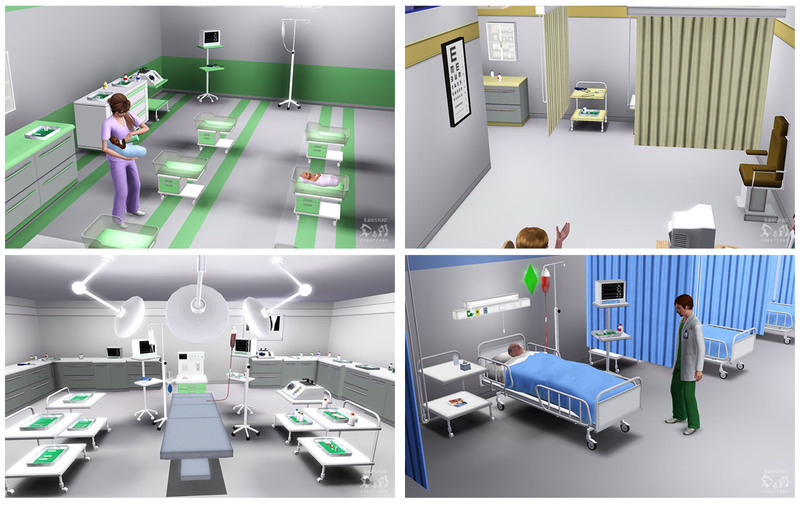 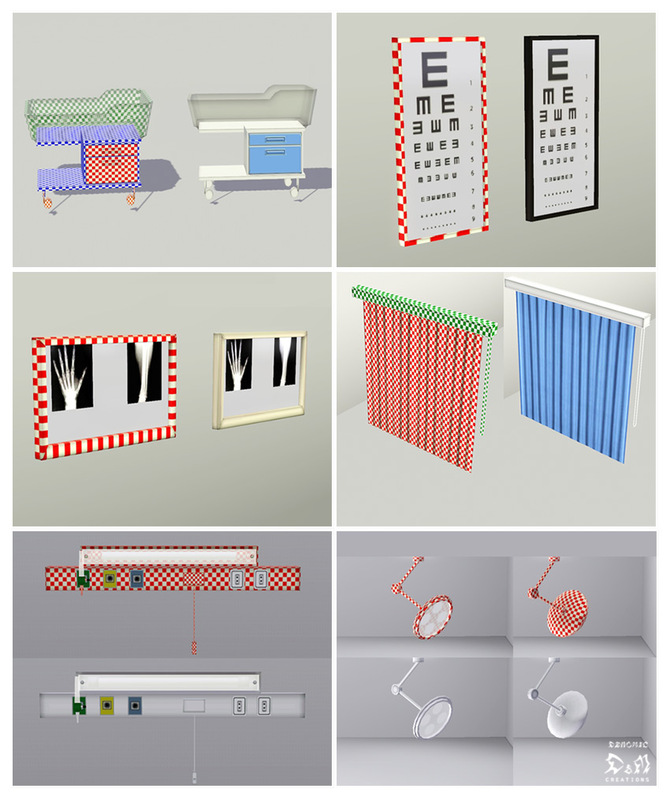 I reupload the "D&M_Hospital_Set_I.rar" including the new fixed objects. 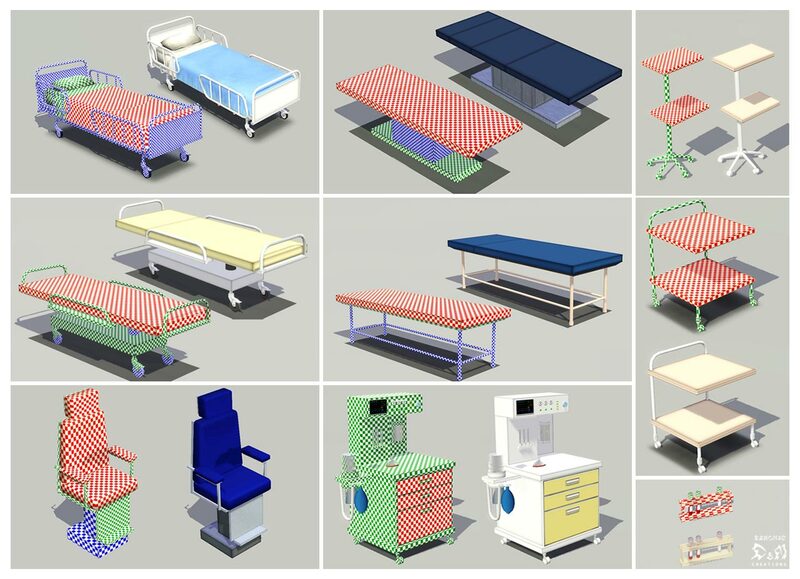 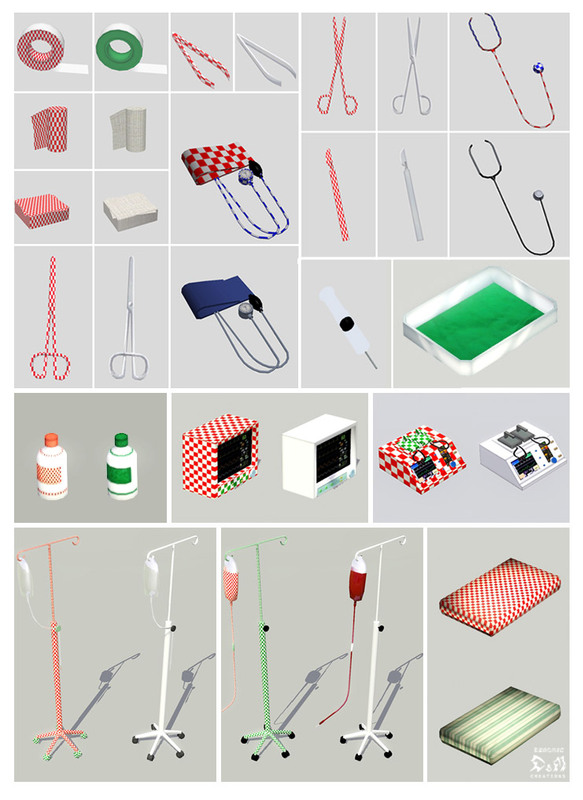 Hi, this request consisted in a few objects for hospital, but I decided to expand the number of objects and make a big set. 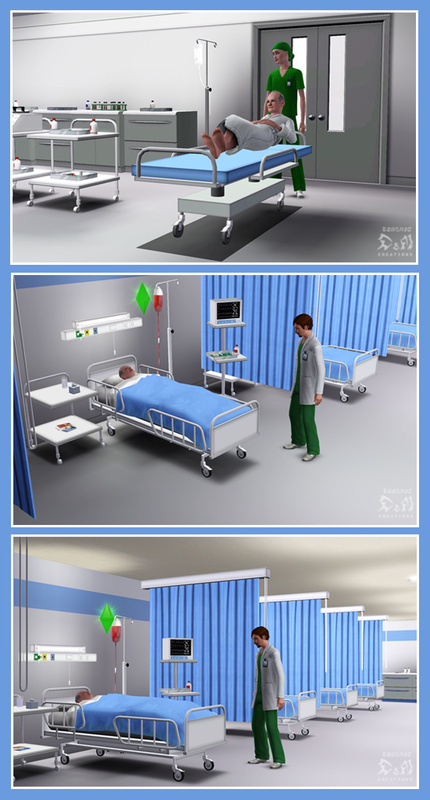 You need use the cheat "moveobjects on" to put the mattress on the Baby cot. 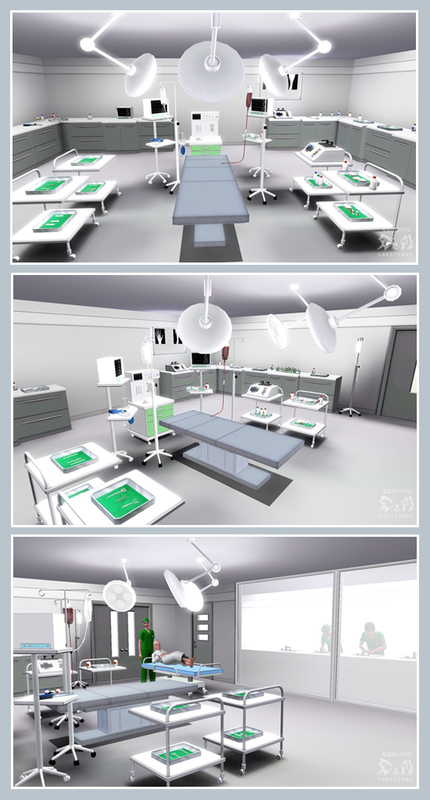 Tags: #hospital, #set, #bedroom, #furniture, #decor.